The MOV is a non linear resistor. There are two metal particles oxide layers are separated by insulation. When the voltage across MOV increases beyond its specific value, the metal oxide layer becomes conducting and current flow through it. 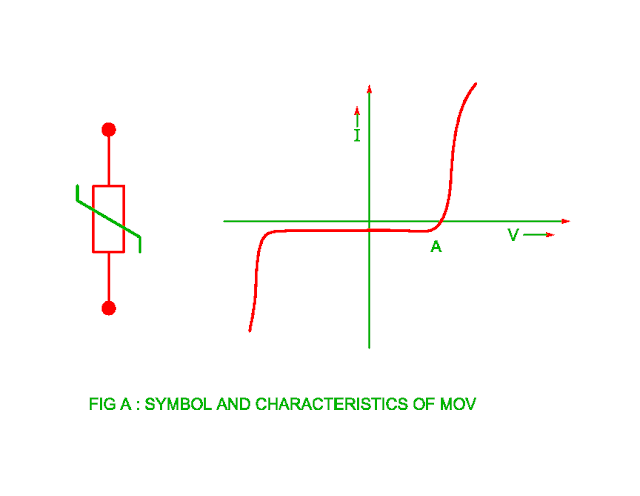 The symbol and characteristics of MOV is shown in the figure A. When voltage across MOV increases beyond point A, the conduction starts. 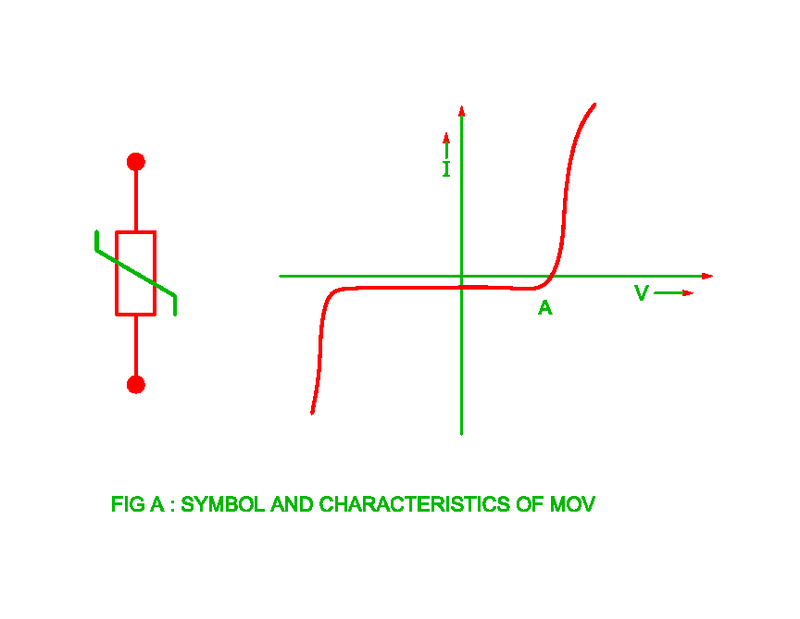 The relation between voltage and current in the MOV is shown as below. Where k is constant and value of α lies in the range of 30 to 40.